The launch of Titanic II is set to mark the one-hundredth anniversary of the original ship. But a mysterious adversary has hidden a bomb aboard the new ocean liner. You are the sole person who can find out where the bomb is hidden and save the ship and all aboard. Search for hidden objects in unique locations around the majestic ship, to discover hidden diary entries and other clues to reveal the bomb's location. Along the way you'll interact with different characters to learn little-known secrets of the original Titanic, and solve a century old mystery from that ill-fated voyage. Seek & Find the Forgotten Dynasty! 1912 Titanic Mystery takes place a few years in the future, 2012 to be specific, during the 100 year anniversary of the tragic sinking of the Titanic. To commemorate the occasion, a replica vessel dubbed the Titanic II has been built. The ship will sail across the Atlantic, hoping to complete the journey that its predecessor began one hundred years ago. The people running the ship have even gone to the trouble of tracking down descendants of the original passengers and inviting them on board. Don't we teach history class in school in hopes of avoiding situations like this? Isn't the point of studying history to learn from our mistakes so that we won't repeat them? Nevertheless, this is an entertaining premise for a story. If this were happening in real life, I would probably be upset, but in the confines of a computer game, I find myself pretty entertained by it all. Despite the ship's fancy exterior, the inside is a disorganized and cluttered mess. But I guess that's a good thing when you're dealing with a hidden objects game. The locations you'll visit on the Titanic II are stuffed to the brim with a variety of objects and shuffling through everything is a lot more fun than it sounds. The different scenes look very impressive and the objects are expertly hidden, so veterans of the hidden objects genre should find a lot to like here. The audio in 1912 Titanic Mystery, both the soundtrack and the sound effects, is a joy to listen to. The music is soothing and very fitting for the game's theme, and the sound effects are lively and cheerful. The noise you hear when you correctly locate something is a very positive "boopity boop" type sound, and while that may sound like a trivial detail, it actually made the game much more enjoyable than most. Too often when playing slower paced games like this I fall into a sort of trance and I just stare at the screen blankly, clicking away. With the encouraging sound effects, I was constantly aware of the fun I was having. The whole experience was very euphoric and you couldn't wipe the smile from my face if you tried. When I first started 1912 Titanic Mystery, I was interested in the story, but I wasn't necessarily engaged. The premise, coupled with the fun gameplay, was enough to get me going. I really didn't know how long my attention would hold until I completed the first scene. After you find all of the items, you're asked to repair a torn piece of paper lying on the bed. I don't want to give anything away, so I'll just say that what was written on that paper got my attention and I was definitely engaged from that point on. 1912 Titanic Mystery is a fun and entertaining hidden objects game with a plot well rooted in factual history. It may be a little silly, but it will have you glued to your seat pretty early on. Generally, the advancement of science leads to the dispelling of myth. It turns out the Sun is not actually Apollo riding his chariot across the sky after all. But it was only really in the 19th century that palaeontology took off and brought the domain of the dinosaurs to public consciousness, many centuries after monster sightings across the world and its history. Knowledge that giants once existed fuels speculation that they may yet still. While the lion’s share of Earth’s land has been seen and studied, the majority of the ocean remains unexplored. We have rather literally only scratched the surface. There is of course danger in the flagrant filling of the blanks of natural history, but with so much unknown, inexistence is no more certain. With not only better access tools but the advent of video recording equipment, humans are now better equipped than ever to confirm or dispel our most enduring monster myths. Technology and the knowledge it brings certainly have a sobering effect, as most of our monster sightings have been reduced to misinterpretation and misdirection. But sometimes science brings confirmation, and when misinterpretation turns out to just be exaggeration, we can forgive and still be left with something that captures our imaginations. 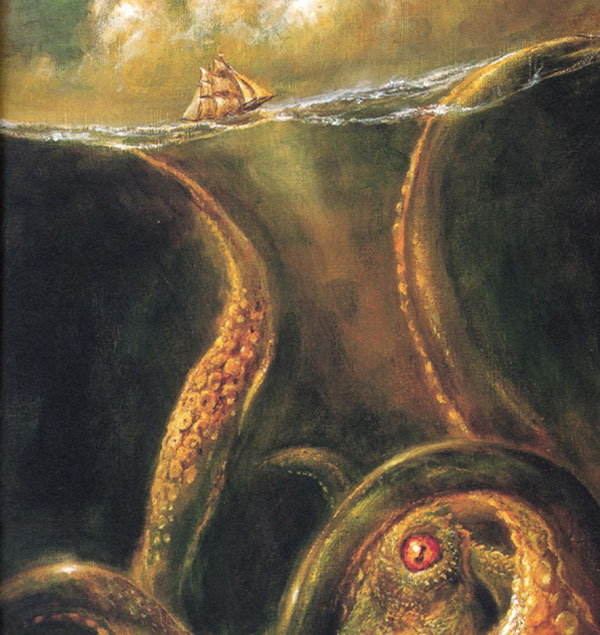 Certainly one of the more celebrity monsters is the Kraken, which is essentially thought to be a massive octopus that terrorized ships off the coast of Iceland and Norway. With tentacles that could reach up and around the top of the tallest mast and pull the ship under, equally dangerous was the large funnel it left behind as it dove deep, leaving whatever remained of a ship to swirl and flush away. In the last century, numerous ships, small boats and aircrafts have purportedly vanished within the infamous Bermuda Triangle, or as some call it "The Devil's Triangle". The boundaries of the triangle cover the Straits of Florida, the Bahamas and the entire Caribbean island area, the Atlantic east to the Azores. Dating back to the voyages of Christopher Columbus, he had logged about bizarre compass bearings in the area. The region got its name when Vincent Gaddis coined the term 'Bermuda Triangle' in a cover story for Argosy magazine about the disappearance of Flight 19. While the area is one of the most heavily traveled shipping lanes in the world many theorists have tried to explain unusual disappearances which have occurred in its borders. Albert Einstein postulated that a curvature of space would cause even light to bend through it. Some theorists believe that "Time'", as a force of nature, can also get warped based on your location. 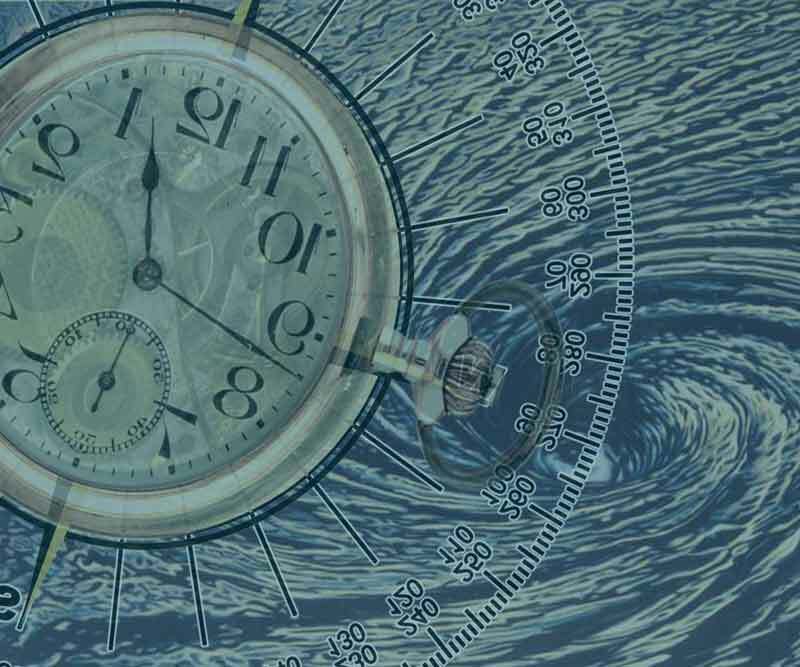 The Bermuda Triangle is thus one location on earth where the fabric of time is so thin that travelers can slip through it and emerge on the other side of a completely different time. This theory was solidified in 1970 when Floridian pilot Brue Gernon Jr., his father and friend Chuck Lafayette were flying toward Bimini Island in the Bahamas and noticed a strange elliptical cloud, which he later called Electronic Fog hovering only about 500 feet above the ocean. 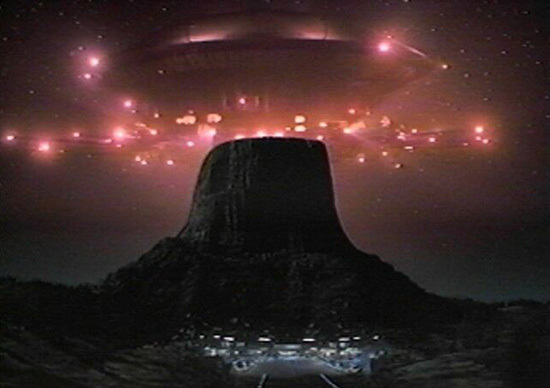 Reports of encounters with strange beings and sightings of mysterious objects in the sky have occurred throughout history. A 13th century historical book, Otia Imperialia, includes an account of a creature descending from a flying craft over Bristol, England. The log from Christopher Columbus' first voyage to America contains a report of strange lights in the sky. Medieval art pieces depict disc-shaped objects floating in the heavens. Sightings of flying cigar-shaped crafts were reported during the Black Plague. And there were even discussions of extraterrestrial life among America's Founding Fathers. Could these sightings, coming from every part of the world, from biblical times to present day, be evidence that aliens have been with us all along?